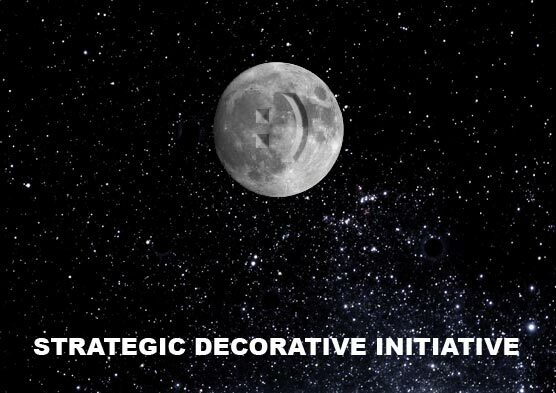 The Strategic Decorative Initiative lunar etching project will be the largest artistic undertaking in human history. This massive dual purpose monumental sculpture initiates permanent lasting peace for all of mankind. This is accomplished by removing the global nuclear weapons stock to the surface of the moon, and detonating them in the universal happy shape of the “smiley” emoticon. An irreverant wink goodbye to the past and a friendly roadsign for intergallactic travelers.